Pi Craft Our Story Contact Us! 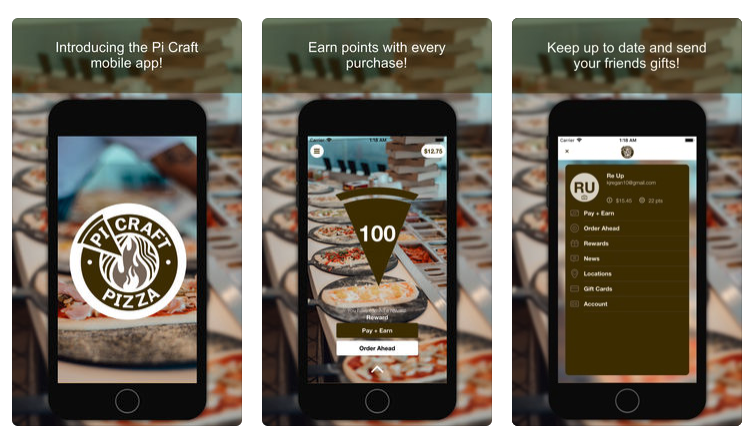 Download the Mobile App Today and Access Pizza of the Month! Stay Updated and Secure Your Chance to Win Cool Prizes! Pi Craft is dedicated to making healthy delicious menu items such as hand crafted pizzas, focaccia sandwiches and salads using fresh ingredients, served in a fast casual style. With our state of the art revolving pizza oven we can cook our American-Italian inspired fare in about 6 minutes. The toppings are unique and always fresh giving you thousands of topping combinations to create your own pizza for one price. Or try one of our delicious signature Pi's. © 2018 Pi Craft. All rights reserved.